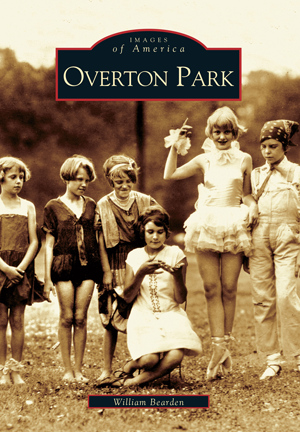 Overton Park in Memphis, Tennessee, is a gem in the midst of a sprawling Southern city. In 1900, as Memphis emerged from bankruptcy and yellow fever epidemics, the Progressive movement encouraged Memphians to rely on the government for a better quality of life. The Memphis Park Commission, chartered that year, purchased 342 acres of land at the eastern edge of the city. Landowner Overton Lea of Nashville earned $110,000 from the sale. George Kessler was hired to build Overton Park, and the intervening years saw such amenities as the city's first zoo, the Brooks Museum of Art, the Overton Park Shell (the site of Elvis Presley's first public performance), Memphis College of Art, war memorials, and hiking trails through the world's only old-growth forest in an urban setting. Author William Bearden, president of The William Bearden Company, is a writer and producer of television documentaries-most notably on Overton Park, Elmwood Cemetery, and the Biloxi Lighthouse-and museum andart gallery exhibitions.